Les Dollinger, 82, Monmouth, passed away Friday, November 30, 2018 at OSF Holy Family Hospital. married his high school sweetheart, JoEllen Hamilton. baseball. He graduated in 1954. Artillery Division of Monmouth National Guard for 4 years. Northeast Missouri State University in 1980.
from his former players and students. Clifton, Illinois. 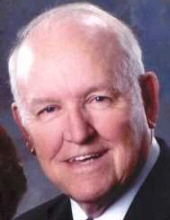 He was elected to the State of Iowa’s “Football Coaches Hall of Fame”. Austin Zundel and brother-in-law Robert Pohl. husband and father and loved his family. Church, Jamieson Center and Rotary Club, Monmouth, Illinois. To send flowers or a remembrance gift to the family of Lester D. "Les" Dollinger, please visit our Tribute Store. "Email Address" would like to share the life celebration of Lester D. "Les" Dollinger. Click on the "link" to go to share a favorite memory or leave a condolence message for the family.